It hit me like a ton of bricks… Sitting in a mastermind group a couple of months ago with fellow real estate agents all over the country facing personnel problems, I really started thinking about how lucky Andy and I are to have the BEST real estate team in Atlanta and one of the Top 100 in the nation. We just don’t have personnel problems. And, we never receive complaints about our people. In fact, we constantly receive raving reviews. Then, it got me to thinking… Andy and I don’t have personnel problems because we follow an extensive interview process and hire the Top 1% of candidates. You see, many real estate agents are not business people too. They’re just sales people. So, they get overwhelmed and run out and hire the first living and breathing human being that walks through their office doors. Why? Because they are overwhelmed, people-people/salespeople that love everyone. Their biggest problem… Many times they hire from a pool of one. Guess what? When I start collecting resumes for a position, I will NOT fill the position until I have 100 resumes. I believe since our team is one of the Top 100 real estate teams in the nation, why in the world would I not review at least 100 resumes to find the Top 1 or the Top 1% to match our organization? In fact, right now, I have collected over 350 resumes for a position opening on our team. The last few candidates that we’ve met with have asked, “Why has the position been open for so long? Why hasn’t it been filled?” The honest truth… I haven’t found the #1 candidate for the position. Andy and I care deeply about your client experience here at The Peters Company. Our reputation means the world to us. So, we’re not going to hire haphazardly. We will never ever make a square peg fit in a round hole. It’s just not who we are. We want the best for our clients, the best for our team, and the best for the candidate. Earning a position on our team has to be a win/win for all parties involved. Have 10-minute phone interviews to validate the top candidates’ resumes and see if we can move forward. Send personality profile to complete and schedule a time to meet in the office to discuss the results. Call at least 20+ references to uncover any potential concerns. Order 2nd personality profile that goes even deeper than the 1st. Spend about 4 hours in our office to discuss the candidate’s life story, the extensive personality assessment, and our team expectations and standards. You may think we are NUTS and how do we find enough time for all these interviews and reference checks. Well, we’ve discovered we have to MAKE the time. The most important thing we can do is hire exceptional talent for The Peters Company. We want you working with the Top 1%, not just the Top 5 or even 25. It’s just not good enough. So, just know… when you hire us to help you buy or sell your home, you are working with Atlanta’s finest real estate talent! Not only have they passed our test but they are also a solid match for their specific position! Many times our clients will bring a bottle of wine to the closing. They’ll look Andy straight in the eye and say, “This bottle is not for you. It’s for Katelyn!” She was absolutely amazing!” There is nothing that makes us prouder than for our people to be well-loved by all of you! And, please know, when you are working with any member of our team, you are working with the best and brightest in the business! 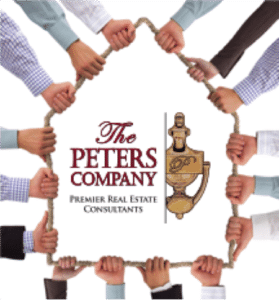 ← Congratulations to The Peters Company November Metro Atlanta Homebuyers!